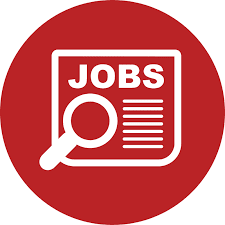 Field Supervisors Jobs Ifakara, Iringa and Mbeya. TPB Bank PLC is a Bank that provides competitive financial services to our customers and creates value for our stakeholders through innovative products. 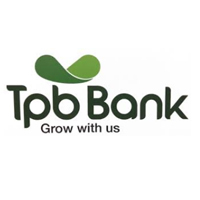 TPB Bank PLC is a Bank, whose vision is “to be the leading bank in the provision of affordable financial services and promoting financial inclusion in Tanzania”. As part of effective organizational development and management of its human capital in an effective way, TPB BANK PLC commits itself towards attaining, retaining and developing the highly capable and qualified workforce for TPB BANK PLC betterment and the Nation at large. TPB Bank PLC seeks to appoint dedicated, self-motivated and highly organized Field Supervisor (3 position) for Ifakara, Iringa and Mbeya. The field supervisor is responsible for supervising local trainers and ensuring the quality of the VSLA groups they form, develop Local trainers skills, overseeing their work as local trainers and making sure all groups formed by LT are being linked with TPB Bank. for funding their enterprises (value chain financing) and for safekeeping of the group’s money. Facilitate the recruitment of mobile agency that can save the marginalized populations. Ensure local trainers submit timely, complete and accurate reports. Bachelor degree , Advanced Diploma or Diploma in any discipline. Working experience in VSLA business or related field. Demonstrated experience in managing VSLA or related function. Promoting acceptance and understanding by the customers and general public. Sound knowledge of Insurance/banking regulations and best practice. Applicants are invited to submit their resume (indicating the position title in the subject heading) via e-mail to: recruitment@tpbbank.co.tz Applications via other methods will not be considered. Applicants need to submit only the Curriculum Vitae (CV) and the letter of applications starting the job advertised and the location. Other credentials will have to be submitted during the interview for authentic check and other administrative measures and should not in any way be attached during application. Interview will be conducted at the LOCATION APPLIED. institution and to achieve this vision, it always go for the best.